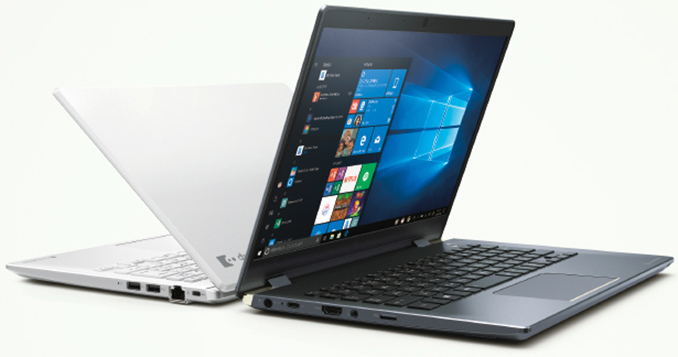 Dynabook, a maker of laptops from Japan, has unveiled its new 13-inch G-series ultra-portable laptops. Based around Intel's 15W dual and quad-core Whiskey Lake-U processors, the G-series aims to offer a high-quality 13.3-inch display and a long battery life without compromising on portability. The new notebooks weigh between 779 and 859 grams – lighter than your average 13-inch ultrabook – with battery runtimes rated for between 9.5 and 19 hours. As an added bonus, the mobile PCs also feature a rare native GbE port. Dynabook’s G-series family consists of the G8, G7, G6, and G5 models. All of the SKUs come with a 13.3-inch Full-HD non-glossy IGZO display from Sharp in a chassis that measure 308.8 × 211.6 × 17.9 mm. The enclosure features either an Onyx Blue or Pearl White finish and is made of magnesium alloy, which is an extremely lightweight and rigid material that allowed Dynabook to build such a light notebook. All told, Dynabook seems to be rather bullish on the toughness of their alloy and underlying design; the PCs are rated for a drops up to 76 cm, can withstand -20°C and +60°C temperatures, and survive for 10 days under environment humidity of 95%. Under the hood, the specifications of Dynabook’s G-series laptops are fairly typical for Japanese ultra-portable laptops. The cheapest G5 model is based on Intel’s dual-core Core i3- 8130U processor accompanied by 4 GB of DDR4-2400 memory as well as a 128 GB NVMe SSD, whereas the most powerful G8 model is powered by Intel’s quad-core Core i7-8550U CPU paired with 8 GB of DDR4-2400 DRAM and a 512 GB NVMe SSD. Meanwhile, the G5 and G6 notebooks are outfitted with an “S” battery rated for 9.5 hours, while the G7 and G8 laptops are equipped with an “L” battery rated for 19 hours. 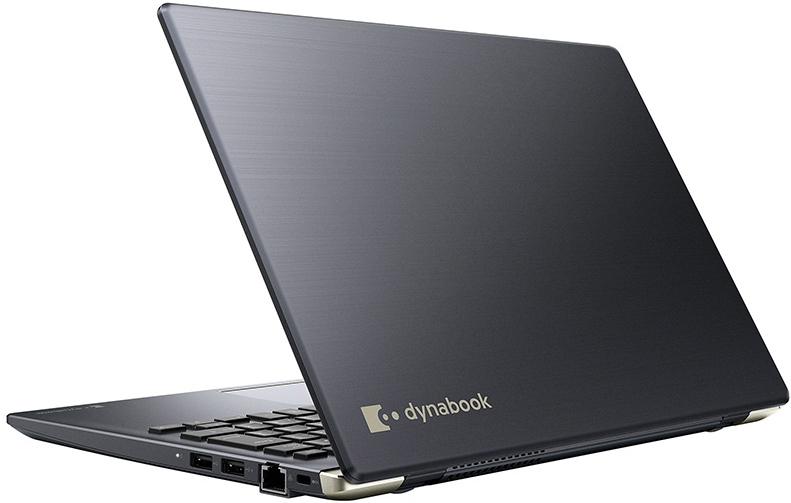 When it comes to connectivity, the Dynabook G-series notebooks feature an 802.11ac Wi-Fi + Bluetooth 4.2 controller, a GbE jack, one USB Type-C connector, two USB 2.0 Type-A ports, an HDMI output, a microSDXC slot, and a TRRS audio jack. The laptops also have a webcam (the G7 and G8 SKUs have IR sensors for Windows Hello), stereo speakers with DTS enhancements, a microphone array, and so on. OS Windows 10 Home Win10 Home/Pro? 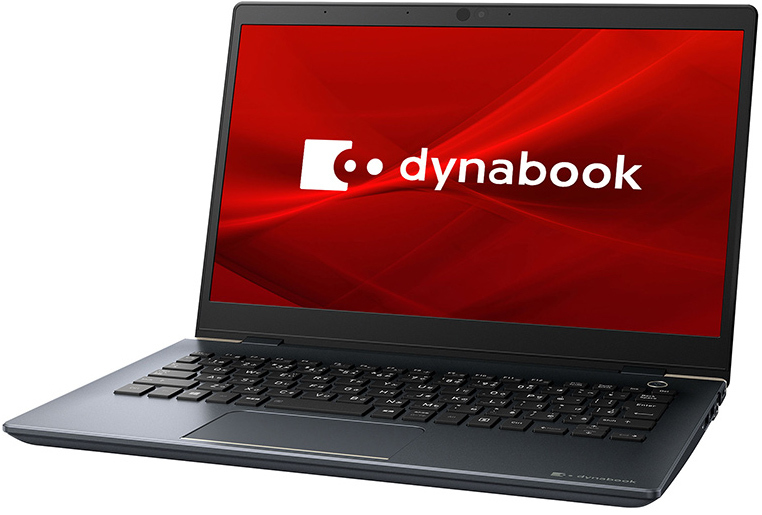 Dynabook will start selling its G-series laptops on January 24. The most affordable G5 model will be priced at ¥140,000 ($1,280) w/o tax, whereas the high-end G8 SKU will cost ¥200,000 ($1,830) w/o tax. Displayport on a 13" ultrabook? Just because everybody's doing it doesn't mean it's right. See also: Thinness race to the bottom. I take the same approach to soldered RAM as I do to cell phones without SD slots. If you're not going to give me a way to upgrade, you'd better give me enough that I'll never want to.